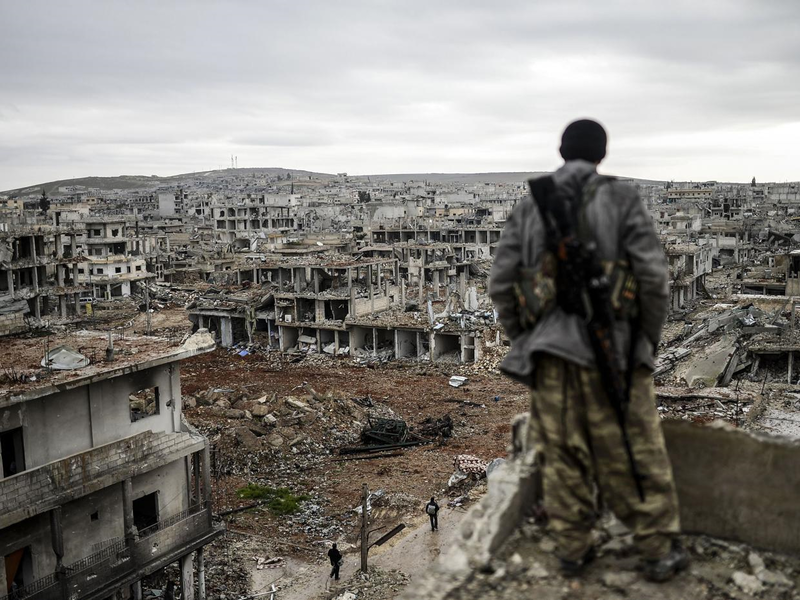 The Syrian War ceasefire agreed upon by Russia and the United States lasted for a meagre 10 days and then followed its February predecessor’s fate: the ceasefire unravelled as all sides, groups and factions chose to fire instead of ceasing it. * It took Sergei Lavrov and John Kerry 3 months to negotiate the agreement, proof that it was hard to reach. * The ceasefire’ signatories were Moscow and Washington. Then they had to press and persuade their allies, proxies and their allies’ proxies to abide by it. Judging from the disparate goals, agendas and priorities of the myriad actors involved, this was a very long shot. * It was opposed by many rebel groups, because it demanded them to part ways with Jabhat Al Nusra, which is the most effective and the most extremist rebel group aside the Islamic State, and its loss was viewed as a blow to the rebels’ combat capabilities. * Although Damascus accepted the agreement, it was not happy with the severe limitations imposed on the use of its air force. Besides, it feels it is getting closer to recover the whole of Aleppo, which would not happen if there is an enduring truce. So, it is no surprise that there was a lull in the fighting, but that the skirmishes never ceased entirely. Ironically, it was the US who eventually put the final nail in the ceasefire’s coffin when she bombed thrice a Syrian Army position, killing 80 soldiers who were fighting the Islamci state in the Deir El Zour area, in Eastern Syria. Following the attack, Syria declared the ceasefire terminated and everything went back to normal in Syria. FIRE! FIRE AWAY!!! 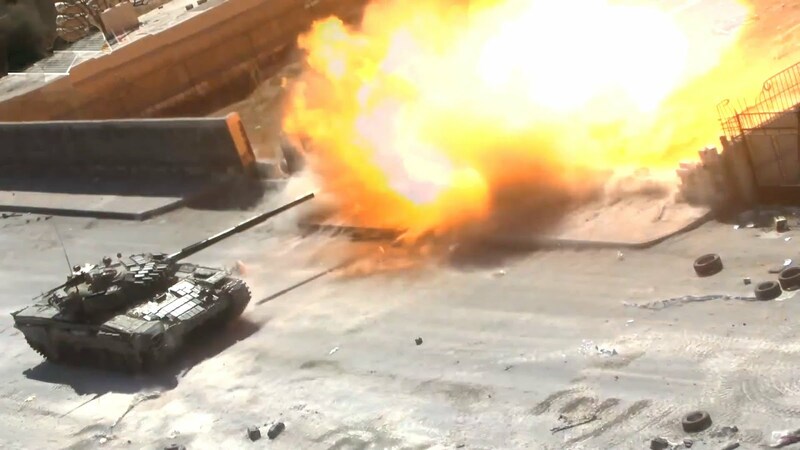 A Syrian Army T-72 tank fires at rebel positions in Jobar.